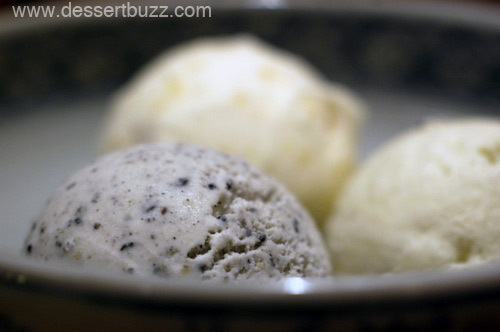 I wrote a few weeks ago about a trip with some homemade ice cream “enthusiasts” to Chikalicious Dessert Club where we tried the adult chocolate pudding. 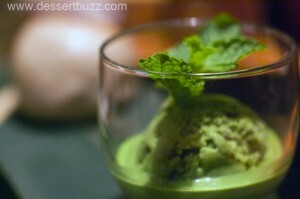 That same night, I had dinner at Soba-Ya and found their desserts (and savory food) to be quite excellent. 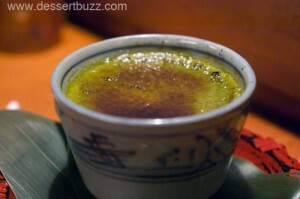 My favorite dessert out of the evening was definitely the green tea creme brulee. It had a nice caramelized top and, consistency-wise, it was as good as any creme brulee I’ve had this year. 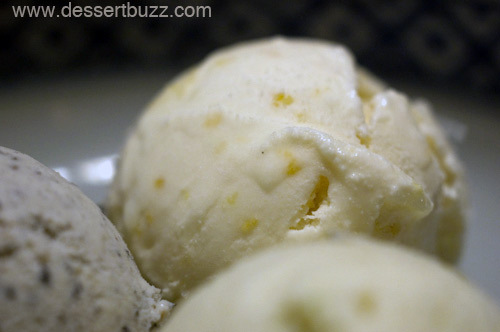 It was also devoid of any sweetness whatsoever–the flavor was 100% (unsweetened) green tea. We also tried four different flavors of house-made ice cream and the entire group was surprised at which one we ended up liking best. The Black sesame seemed like it might be interesting, but while the ice cream itself was good, everyone agreed it was hard to taste the sesame. The Yuzu was much better, with a distinct citrus-like flavor. The best flavor was the honey wasabi. Surprisingly (to me at least), these two flavors worked really well together with the honey taking a bit of the sting out of the spicy and bitter wasabi. 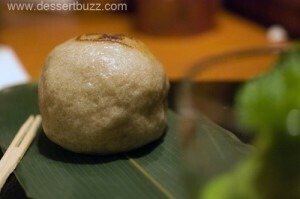 We also ordered a soba manju (steamed buckwheat bun) with sweet bean paste inside. When it comes to sweet bean paste and it’s chalky texture, some people like it and some people don’t. I liked this dish because it was served with a green tea ice cream that was every bit as delicious as the creme brulee. And when I consumed the bun and the ice cream in the same spoonful, everything came together. Soba-ya definitely offers some great desserts that are different from the usual fare. Stop by and see for yourself. Soba-Ya is located at 229 East 9th Street Their website is here. I am told by reliable sources that Cha-An also has superb green tea creme brulee. Thanks for the recommendation–that was/is one good dessert!